AAC Animals Bird Hoho getty 18th century fire surround English Rococo 3 Agrell Woodcarving. Description: Wooden carved 18th Century Rococo Hoho bird fire surround. 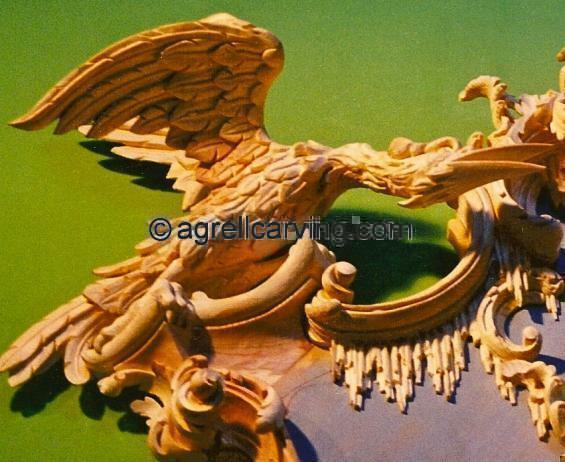 Carved by Agrell Architectural Carving for the Getty residence.